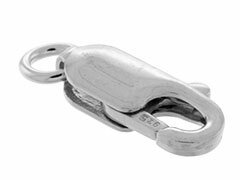 Sterling Silver Lobster Clasps.They come with Sterling Silver open jump rings. These clasps are the perfect size for my necklaces. ..